Triumph partners with highly specialized architects and manufacturers in the delivery of award-winning modular designs for temporary buildings that fits your specific requirements and stretch your vision of what is possible. 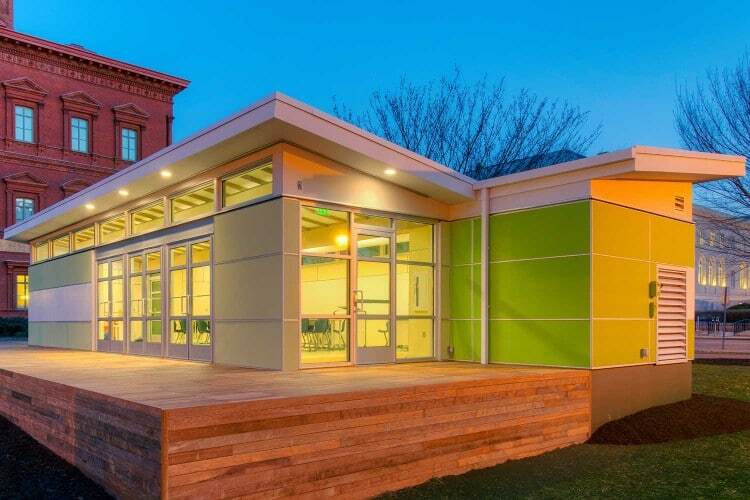 Triumph modular buildings can be used for either freestanding structures or to expand an existing building and can range from one to five stories and from 500 to 50,000 square feet. The modular design of your building can comply to your specifications complete with concrete and steel floors, brick exteriors, sheet-rock interiors, windows, stairwells, elevators, plumbing, lighting, computer hook-ups, heating, air conditioning and restroom.